Vandana Shiva is a physicist, ecofeminist, environmental activist, and author of many books. As the winning recipient of the Right Livelihood Award in 1993, Shiva is one of the world’s leading dissident voices against biopiracy, genetic engineering, the privatization of water, and the many injustices linked to food and agriculture. 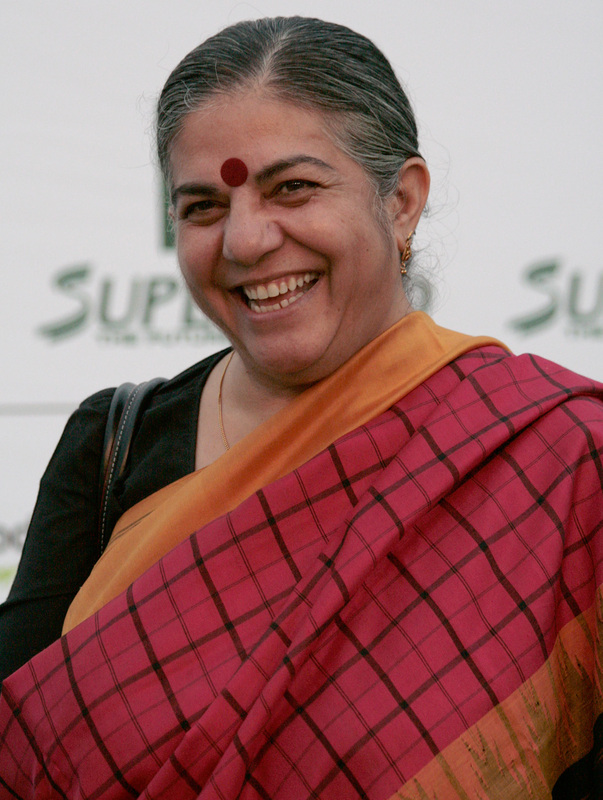 Shiva currently resides in New Delhi, India, where she runs Navdanya, a biodiversity conservation program that supports and encourages local farmers to utilize traditional agricultural knowledge and conserve ancient crops. Some of her books include Biopiracy: the Plunder of Nature and Knowledge, Stolen Harvest: the Hijacking of the Global Food Supply, and Water Wars: Privatization, Pollution, and Profit.